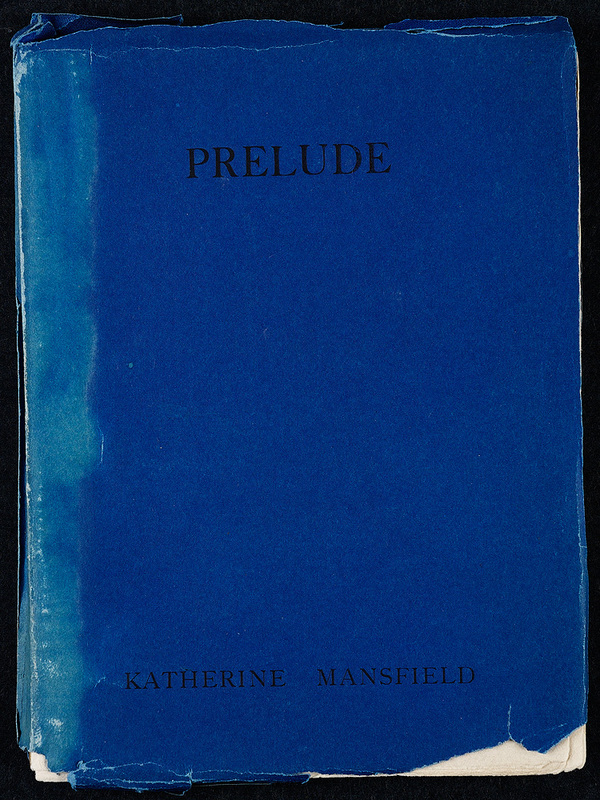 Katherine Mansfield. 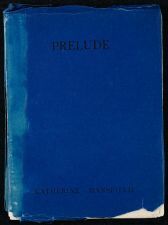 Prelude. Richmond: Hogarth Press, 1918. Purchased. 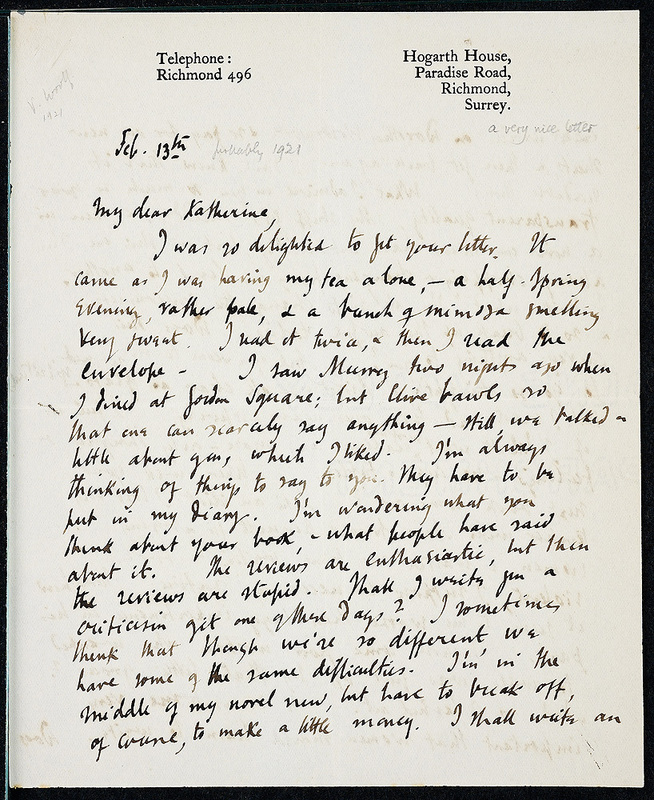 Katherine Mansfield. 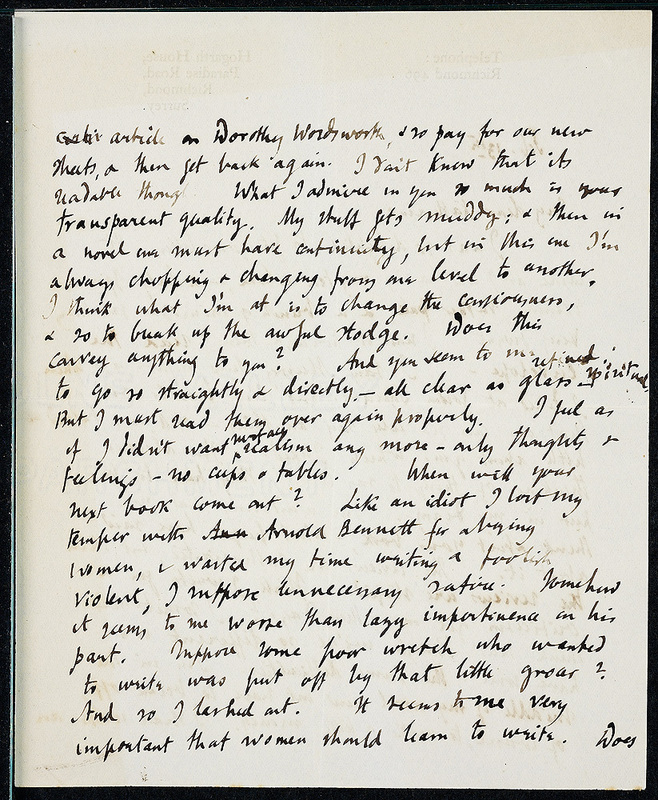 Autograph journal fragment, 6 September 1911. Presented by William A. Orton. Virginia Woolf. 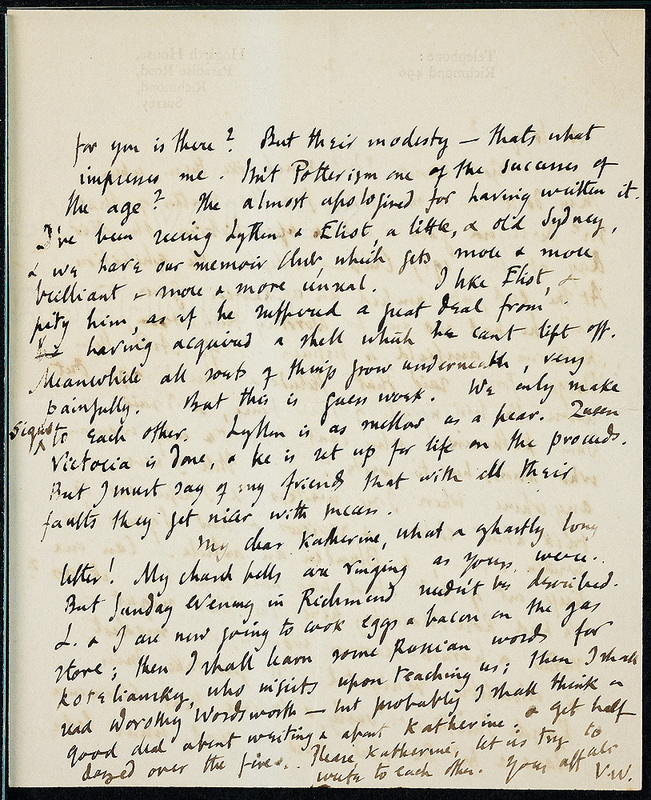 Letter to Katherine Mansfield, 13 February 1921. Presented by Frances Hooper ’14. 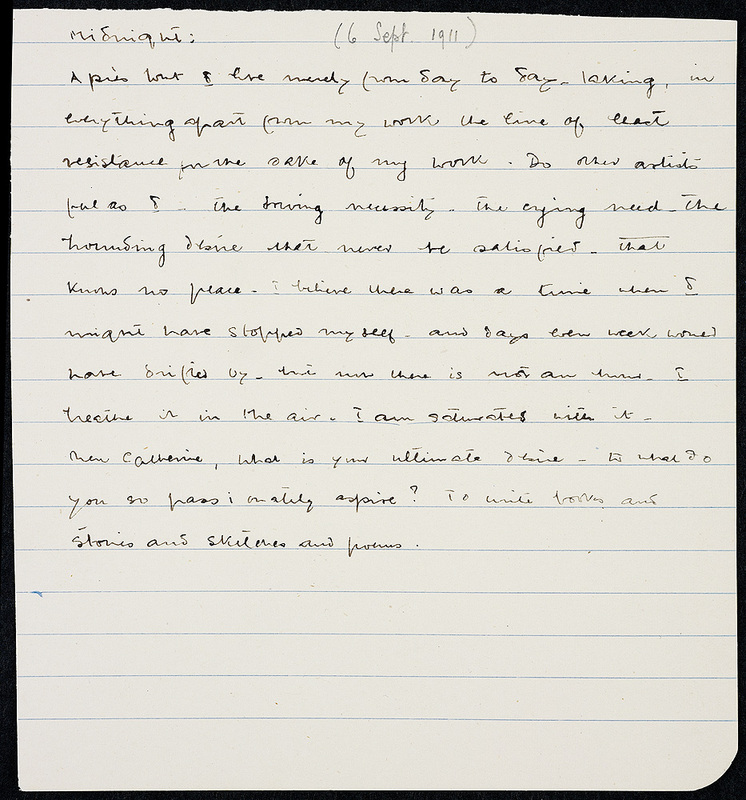 Woolf also talks about the genesis of her short story, “A Society,” which was published along with other short pieces in Monday or Tuesday: “Like an idiot I lost my temper with Arnold Bennett and wasted my time writing a foolish violent, I suppose unnecessary satire... 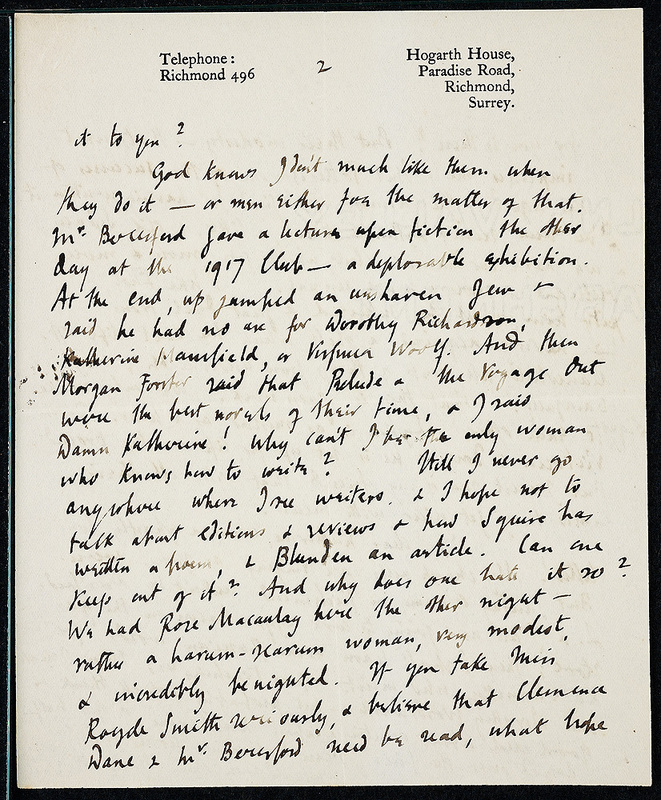 Suppose some poor wretch who wanted to write was put off by that little grocer?” Mansfield particularly admired “Kew Gardens” from Monday or Tuesday. 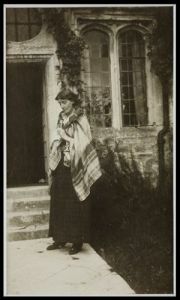 Virginia Woolf at Garsington: photograph, 1923. Purchased.